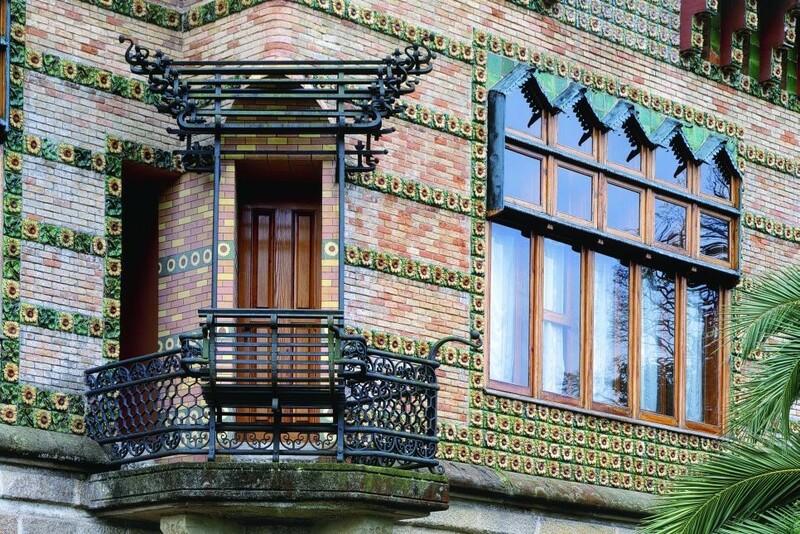 Comillas is considered to be a step forward for Catalan Modernisme, the place where proto-Modernista forms arose and where the applied and decorative arts were creatively integrated. A key year was 1881, signalling as it did the beginning of a privately funded construction fever geared towards innovation in private as well as public buildings. The person who initiated this was Antonio López López, a native of this small fishing village. His family's poverty forced him to seek his fortune in the New World and he settled in Barcelona on his return, after the success of his South American enterprise. This did not, however, separate him from his birthplace and he decided to build a large house there and also improve the town's quality of life. Antonio López's fortune from the fields of navigation and trade was renowned throughout Spain and in 1878, King Alfonso XIII named him Marquis of Comillas in gratitude for López having lent his fleet to help pacify the Cuban insurrection. 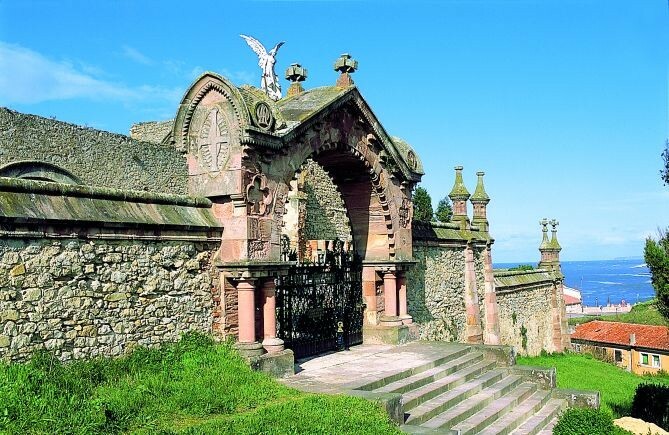 This relationship between the Royal Family and the López family grew closer in 1881, when the King of Spain and his family began spending their summers in Comillas. From that moment on, the town became the summer destination of the Spanish aristocracy, and Antonio López dressed it with wealth and modernity thanks to his contacts with outstanding architects and artists in Barcelona. 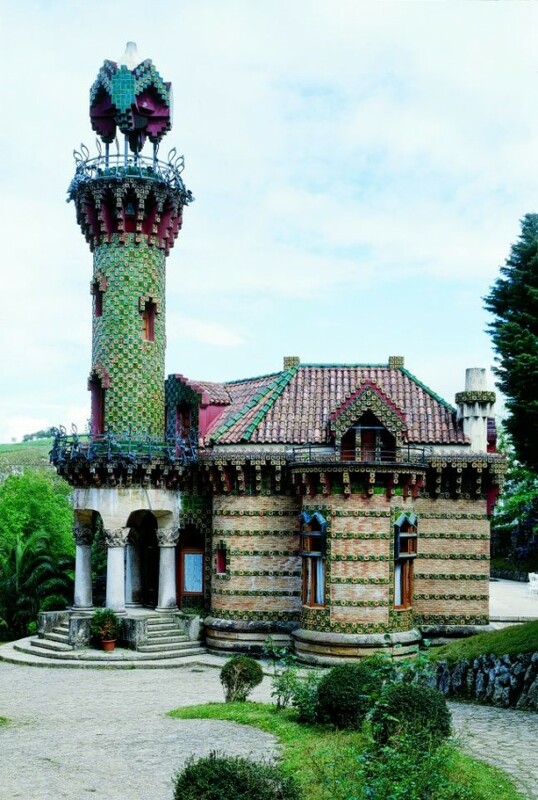 The first example of this freedom and brilliance was a kiosk designed by Gaudí in 1881, with its bulbous forms incorporating meticulous glass, metal and terracotta decorative details. Musical sounds were also part of this so-called "complete architecture/art". 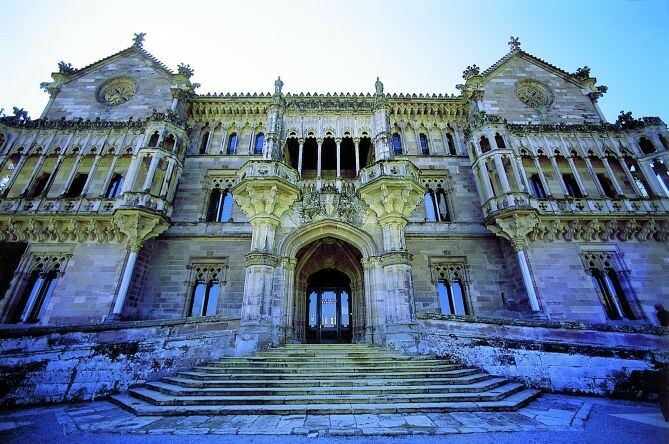 And this resource (windows with a musical device) was used again two years later in Comillas' most representative work: El Capricho (literally, "The Whim"), a large house built by Antonio López's brother-in-law, Màximo Díaz de Quijano, and declared an historic/artistic monument in 1969. Apart from its striking neo-Mudejar façade, the house is also notable for its use of forms, original decorative work and ornamental brick elements. Other architects working at the same time used styles that were more related to English neo-Gothic or eclectic forms: Joan Martorell designed the Sobrellano Palace (home to Antonio López) and its chapel; Lluís Domènech i Montaner and Cristóbal Cascante restored the town's cemetery, which had been enclosed by the ruins of a Gothic church, and Domènech i Montaner also began the Pontifical Seminary in 1883, while Cascante worked on the Comillas Hospital in 1885. The Modernista interest of these buildings resides mainly in their interiors, where the decorative arts (Eusebi Arnau, Josep Llimona, the Vallmitjana brothers) and furniture (Francesc Vidal) combine medieval imagery with forms inspired by nature.